If only I had known sooner! I think to myself several times during my stay in Design Hotel Greulich. It is the first time that I’m staying in a hotel in Zurich. Until last summer, I had been living here for around three years - I didn’t need to stay in a hotel. Meanwhile, however, I have returned to my residence in Munich and I am only a guest here in the Limmat city. A regular, but a guest. In order not to feel like a stranger, I have only chosen to stay with good friends in Zurich since moving back to Munich. Now, despite the move, I have Creme Guides and the mission to explore exciting places, which leads me to the curved blue house on the Herman-Greulich-Strasse. On my arrival the first thing that struck me was the extremely warm and cordial welcome at the reception. I think you can immediately feel that there is a young team here, who keep things firmly in hand and interpret the meaning of contemporary star luxury. The guest and host in Greulich are at eye level, which makes for a pleasant atmosphere. Even as I open the door to my room, I feel right at home. 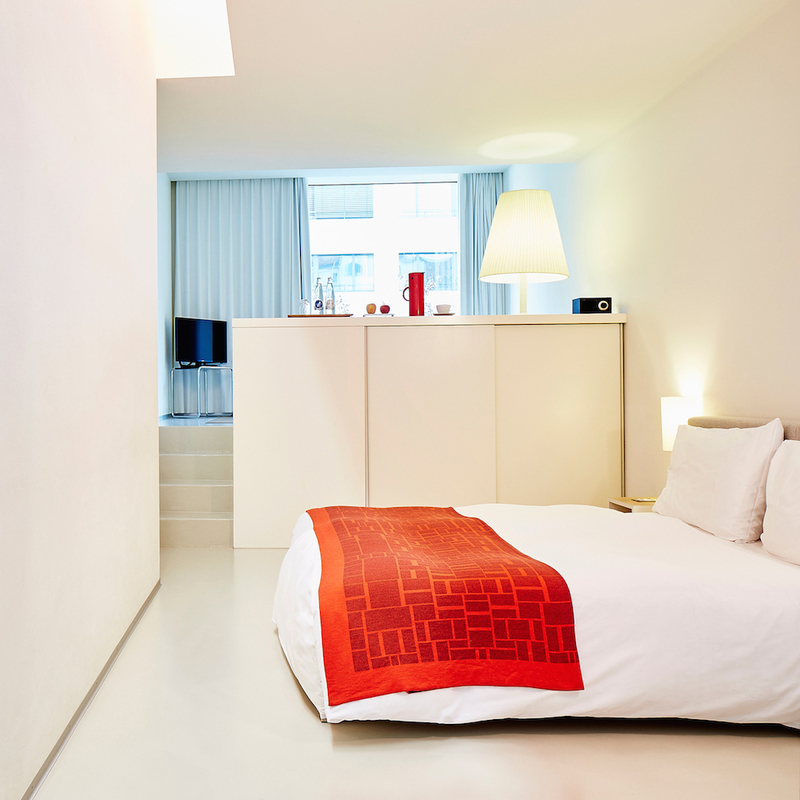 Bright colors, natural colors and minimalist design make for breezy comfort. 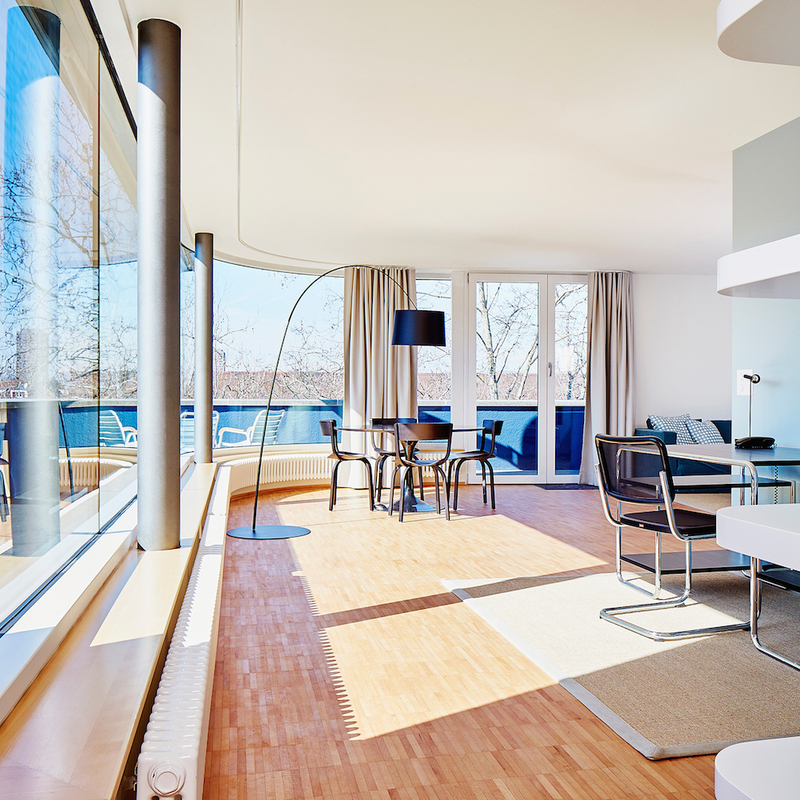 With its 33 square meters and living and sleeping areas optically separated by a glass door, the Superior Double Room, which I thoroughly enjoyed, is extremely generous. I discover numerous details that give me the nice feeling of not being in an anonymous room, but rather a personally well-appointed one: in the closet is a yoga mat, which invites you to start the next day with a sun salutation. On the desk is a well-designed writing set, on it a small biography of the namesake of the hotel and the street in which it stands: Herman Greulich, an important Swiss politician, driver of the Swiss labor movement and the women's suffrage. What a nice gesture - his spirit clearly integrated into the hotel! Right next to the booklets of Herman Greulich I find a cloth-bound anthology of the complete works of Fernando Pessoa: "Could it think, the heart would stop beating ..." the title of the booklet. On a wallboard sits a kettle, cups, thermos and scented fresh mint tea bags for one’s use. It’s as if someone here has read my mind: both tea and a good book are for me the perfect end to a busy day. The very clean and without any frills designed bathroom with its selection of nourishing L'Occitane products are as inviting as the king-sized bed, both suiting my taste one hundred percent. With the confident knowledge that I will spend two very pleasant nights, I continue to discover the rest of the house. 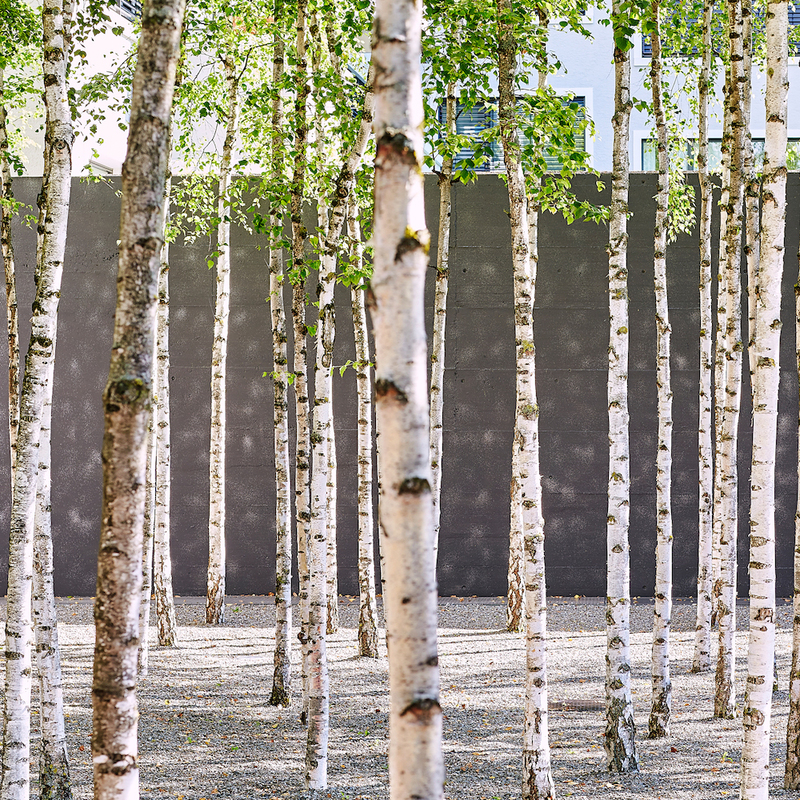 An almost surreal birch grove in the courtyard of the hotel draws me with its spell. Originally designed by landscape architect Günther Vogt for the Expo 02 in Murten, it was purchased by Thomas B. Brunner, owner of the Greulich, and unceremoniously re-planted here in Zurich. With the seasons it forms an iridescent scenery, tranquil and quiet, making it hard to believe that you are in the middle of a bustling district with the Langstrasse nearby. The courtyard path next to the birch grove leads to separate Design Rooms away from the main house - all located at ground level and impressively and puristically designed. Not at all sterile but rather open and inviting! 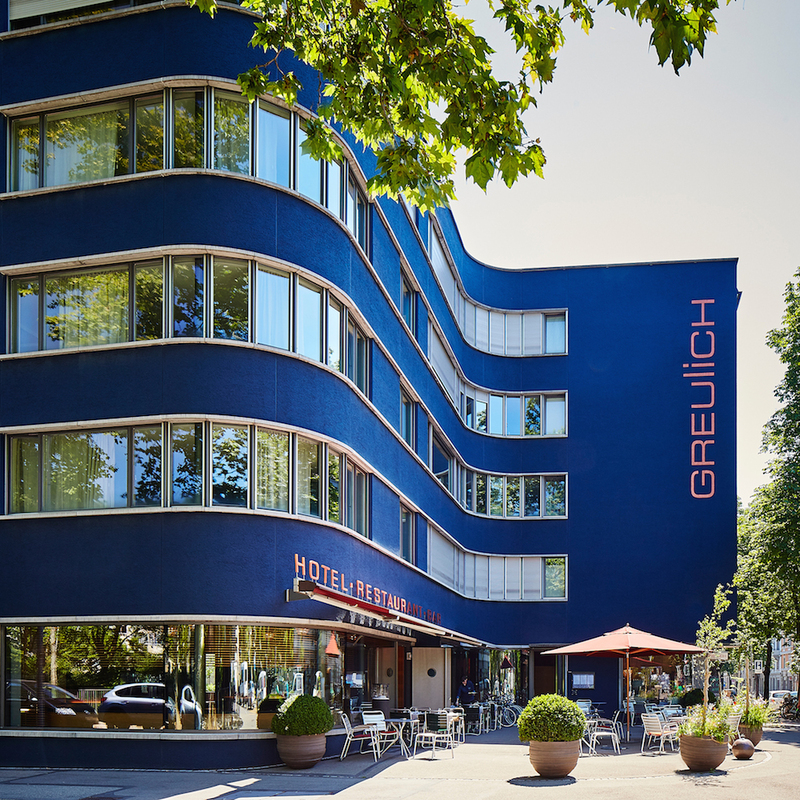 I happily believe that Greulich is a popular address among architects, designers and creative people. I find the claim of the house not at all elitist, but rather a way to provide a "living room for the neighborhood", that harmoniously grows together with the district. 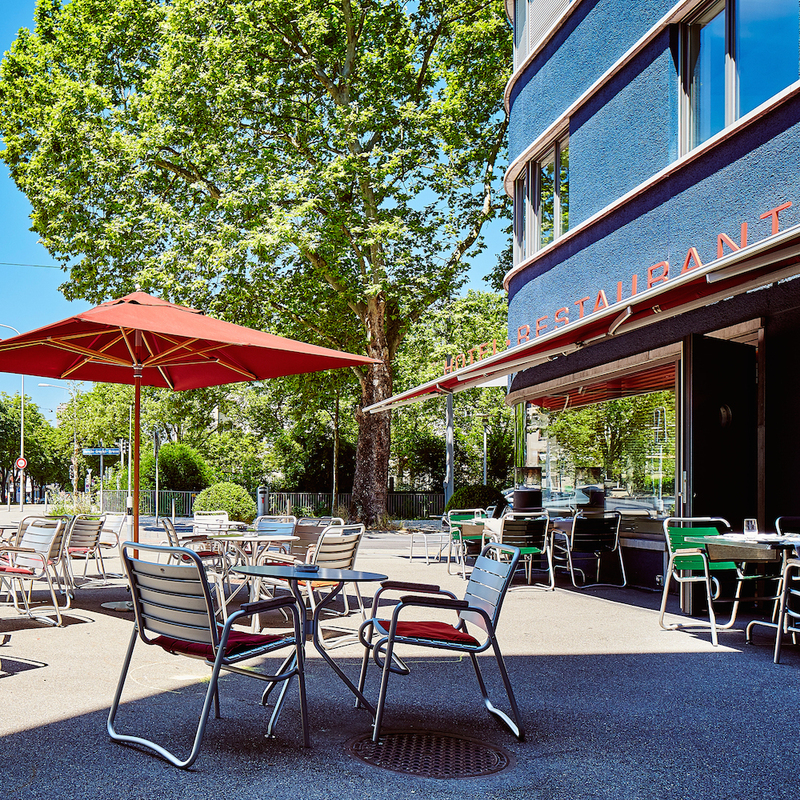 Success factors include the street bar and restaurant, both with boulevard terraces that feel safe, especially attracting an eclectic crowd in summer. 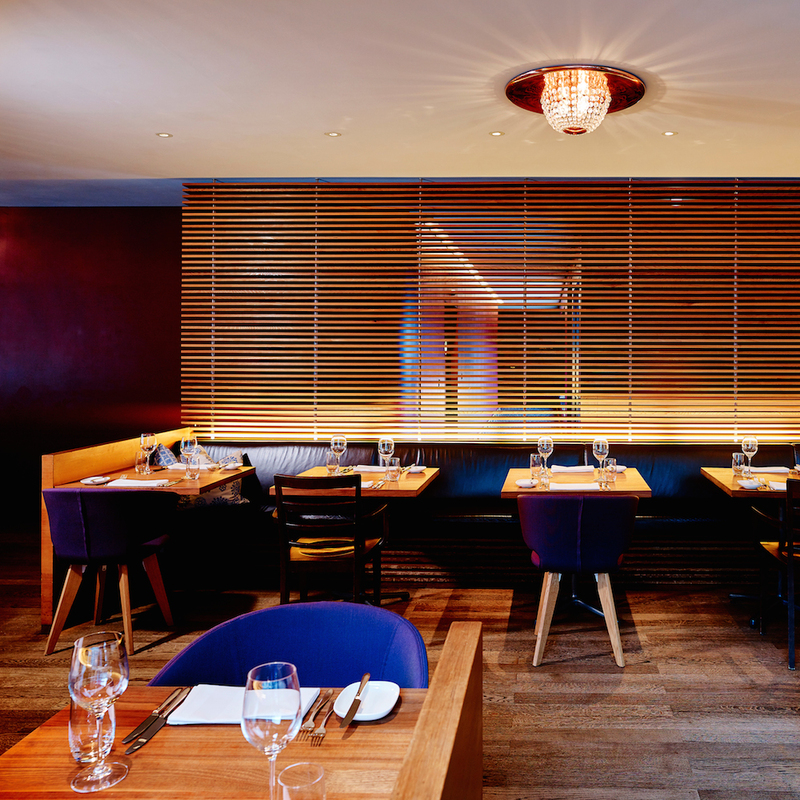 The hotel also has a Cigar Lounge appreciated by long-established Zurich hotel guests, creating an appealing ambience and offering a large range of fine cigars, which is scarce in the city, if I may say.